Crochet socks inspired by Scandinavian knit patterns known as Fair Isle! Crochet a pair of socks that look like they were knitted! 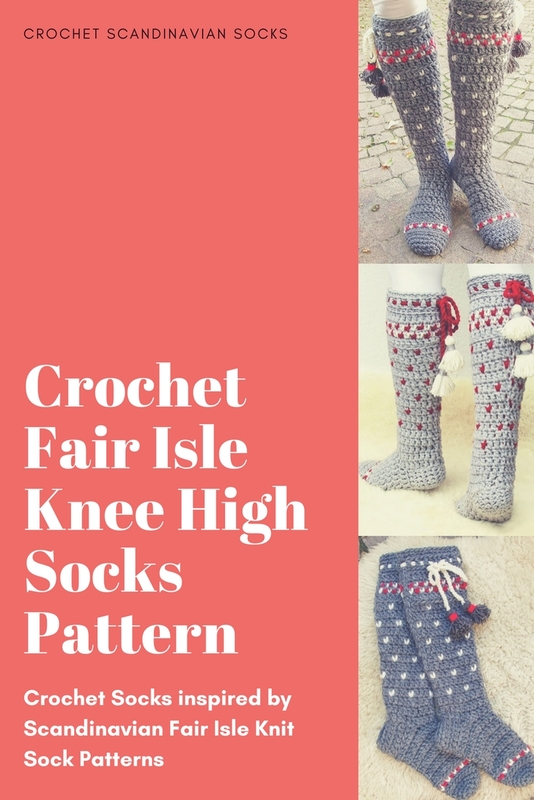 This Scandinavian knit look Crochet pattern for a pair of socks that are also known as the Fair Isle pattern is crocheted using a bulky-weight yarn . These socks will keep your legs and feet nice and warm and can be made in your favorite yarn colors! 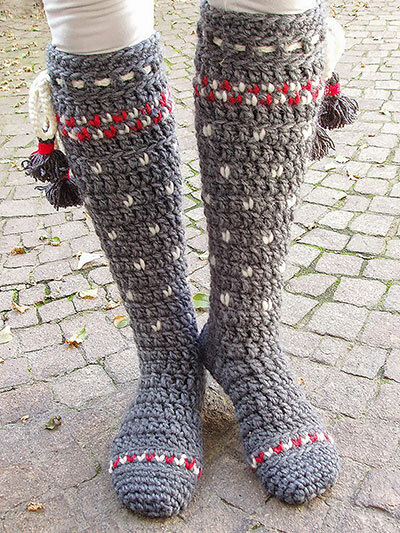 Crochet a pair of these cute socks using a bulky-weight yarn. You can achieve the colored knit look stitches on the leg by doing an extended single crochet. How you can crochet the remaining sock is very easy by just doing simple double crochets that are worked in the round. The crochet sock is worked in 1 piece, so that the design works up quickly. You can download or view the printed pattern that includes written instructions, symbol crochet and step photos. A tutorial for the extended single crochet is also included. Size: S 2-4 (M 5-6, L 7-8, XL 9-10). These socks are worked with double crochet post stitches that turn a light #1 sock-weight yarn into chunky, soft, stretchy and warm socks! This sock design is based on wide legs that will adjust with front laces. 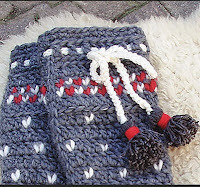 Made using a #3 DK-weight yarn, instructions are written for sizes S 2-4 (M 5-6, L 7-8, XL 9-10). Teaches how to make comfortable, attractive socks for the family. Karen tells how to pick the right yarn, measure for a proper fit, and make two types of heels. The 9 patterns are sized for ankle circumferences from 5.5" to 13" and explain how to adjust the length of the foot and leg sections.